Spring is bringing a fresh batch of the sneezes, sniffles and watery eyes for so many youngsters. Instead of drowning the innocent children with booger flavored liquids and pills that are too hard to swallow, there are several natural remedies to banish young ones allergies this season which are healthier for the body and taste buds. Ingesting enough honey made from local plants eventually causes the body to build up an immunity towards those same plants, which in turn makes the body strong enough to fight against allergy symptoms. 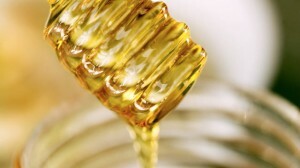 Honey should be bought from a local health food store or farm. This remedy does not work as fast as a medicine and needs to be started in advance in order for the immunity to build up inside the body. If done in advance, this can be a sweet and delicious way to guard against allergies in a hometown. No one ever had any difficulties getting a child to swallow a spoonful of honey. This remedy purifies the lymphatic system which causes great relief during allergy season. It also reduces the amount of mucus produced in the throat. Mucus can be a huge factor in causing allergy problems. Mix a teaspoon of organic vinegar into fruit juice to hide the bitter taste. Give the child this three times a day to relieve symptoms and guard against internal nose tickling attacks. Tea is another sweet start to a child’s allergy relief process. Peppermint serves as a decongestant and contains anti-inflammatory properties which guard against viruses. Mix this with the local honey and get a double action allergy guard at every nostril. Quercetin is an herb found in several foods such as oranges or broccoli. However, just eating to foods alone is not enough to guard against allergy symptoms. The best choice for this is to talk to a doctor about receiving a supplemental dose. This is said to both relieve inflammation in the sinuses and guard against the releasing of histamine in the body by stabilizing mast cells. This is a remedy better combined with something sweet and strong as it has a more bitter taste. A most enjoyable remedy is to chomp down on foods with anti-inflammatory omega-3 fatty acids. A continuous intake of these acids guards against inflammation in the sinuses which results in less allergy symptoms. Omega-3 fatty acids are found in foods such as fish, beef, nuts and eggs. Something as simple as a dietary change can result in less allergy annoyances and more delicious meals. The most important way to guard against a child’s allergies is to keep a clean home. Dusting, vacuuming and guarding against mold is the best way to prevent irritants from entering and causing infections. Water damage restoration experts in San Juan have a great site, www.leakbust.com, for advice on how to guard against mold in the home and also services to banish mold from an already infected home. Make sure to rid the area of any and all irritants in order to prevent a child’s allergy symptoms as these can become bigger problems the longer they are left alone. Medicine is a temporary fix. It will always wear off and demand to be taken again. A continuous use of natural remedies strengthens the body and the immune system which in turn tackles allergies head on. Give children the ability to fight against their symptoms instead of only blocking them. Are Natural Health Remedies the Best Remedies?